While certainly a gruesome and devastating mark on history, the Vietnam War wasn’t all napalm and images of soldiers suffering the aftershocks of war. Check out these 26 shocking, never before seen pictures of the Vietnam War. 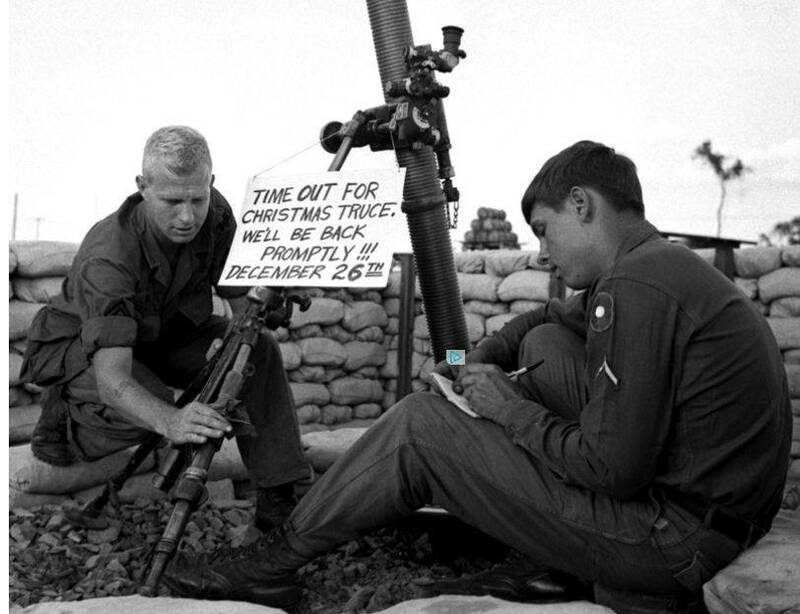 This photograph was taken in South Vietnam, December 1967. It shows 9th Infantry Division Sgt. William Dowell and a fellow soldier celebrating Christmas amongst the warfare.